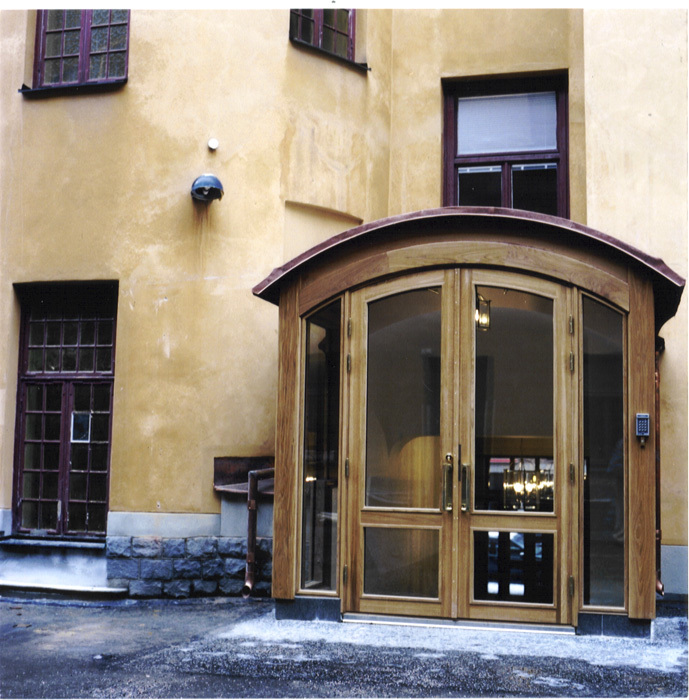 The restoration and rebuilding of the main entrance and common areas of a housing in central Stockholm. The entrance had been ruined during a rebuilding into two separate entrances in the beginning of the 60’s. An exterior stair needed to be walled in due to drainage problems.